Dr. Keith Ahamad, MD, is a Clinician Researcher with the BC Centre on Substance Use (BCCSU), Clinical Assistant Professor in the Department of Family Medicine at the University of British Columbia (UBC), Director of the Addiction Medicine Enhanced Skills Training Program at UBC, Division Lead for Addiction in the Department of Family and Community Medicine at Providence Health Care, and Physician Lead of the St. Paul’s Hospital Addiction Medicine Consult Service. 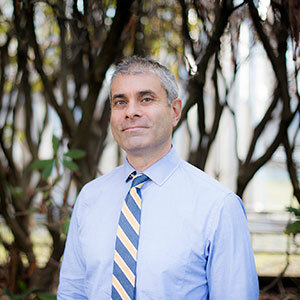 His primary research interests and expertise include addiction medicine clinical trials; substance use in marginalized and underserved populations; and improving primary care health services through community engagement, research, health promotion, and education. Dr. Ahamad is the Lead Study Clinician for Optimizing patient centered-care: A pragmatic randomized control trial comparing models of care in the management of prescription opioid misuse (OPTIMA), a Canadian Institutes of Health Research (CIHR)-funded, multi-site clinical trial developed by the Regional Nodes of the Canadian Research Initiative in Substance Misuse that will compare two treatments for prescription opioid addiction, a growing public health concern in Canada. He is also Principle Investigator of the Mobile Opioid Vital-signs Evaluation (MOVE) pilot study that will assess the feasibility of a mobile vital signs (e.g., heart rate, respiratory rate) monitoring device, which could be used in future to predict overdose risk and prevent serious harms, including death, among people who use opioid drugs. As an Addiction Medicine Physician originally trained in family medicine, Dr. Ahamad contributes substantially to the Clinical Care Guidance and education programs of the BCCSU, and is a mentor for the Canada Addiction Medicine Research Fellowship and preceptor for the St. Paul’s Hospital Goldcorp Addiction Medicine Clinical Fellowship. Dr. Ahamad was recently awarded a CIHR Embedded Clinician Researcher Salary Award, a priority-driven initiative of the Roadmap Accelerator Fund designed to support clinical leaders with the vision, skills, and capacity to achieve innovative change in healthcare. Dr. Ahamad has maintained certification as a Diplomate of the American Board of Addiction Medicine since 2015 and the International Society of Addiction Medicine in 2013. He completed his residency in Family Medicine at UBC in 2013, and obtained his MD from UBC in 2010.